Posted in Indie Polish, Mainstream Polish, Manicures, Nail Art, Nail Swatches, pictures, reviews	by Jessica W.
Morning everyone! Did you have a wonderful weekend? It was pretty grey and gross here, and unfortunately the whole week is shaping up to be the same. I can’t wait for nice spring weather! At any rate, I have another Pick Three Polish post for you today with Girly Bits Cosmetics Lack of Pies, China Glaze Kiwi Cool-Ada, Celestial Cosmetics LE September 2015 and some nail art! If you didn’t get to see the last Pick Three Polishes post, I have so many polishes sitting untried, that I started to just randomly pick 3 polishes, swatch them, and try to do nail art with them! Posted in blog business, Indie Polish, Mainstream Polish, Manicures, Nail Art, pictures, Press Sample, reviews	by Jessica W.
Hi everyone! 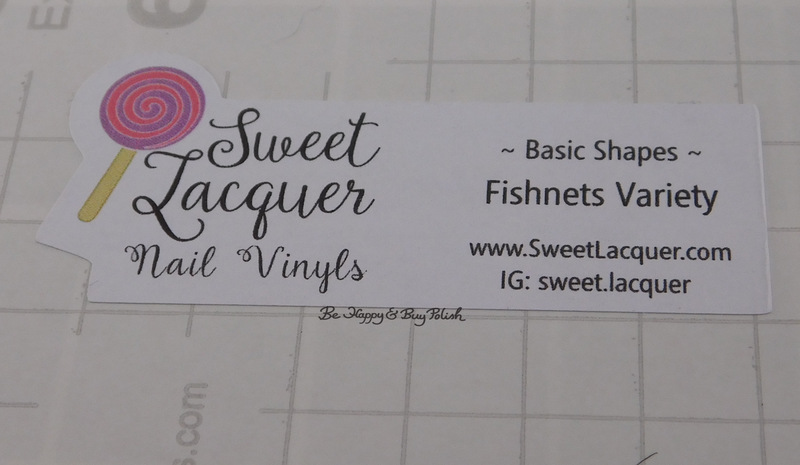 This is a post a long time in the making, because I wanted to be able to use and review Sweet Lacquer Nail Vinyls as a normal customer would, in regular manis. So this is going to be a longer post with a few different manis! 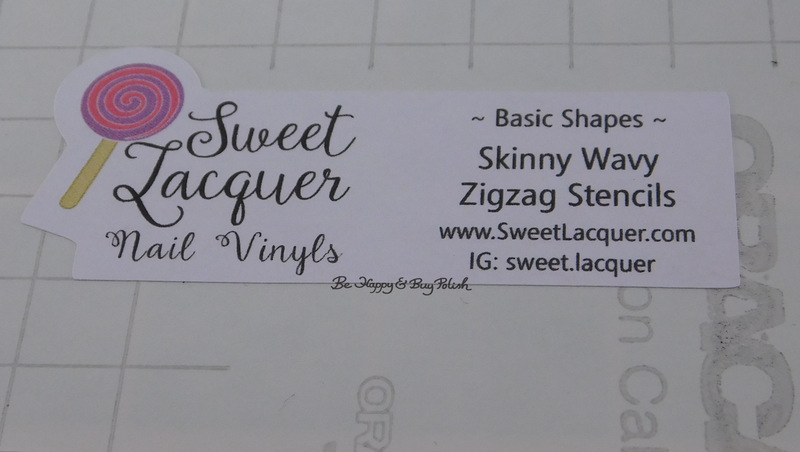 I’ve been having trouble with nail vinyls lately and Sweet Lacquer offered to send me a variety of their vinyls to try out. 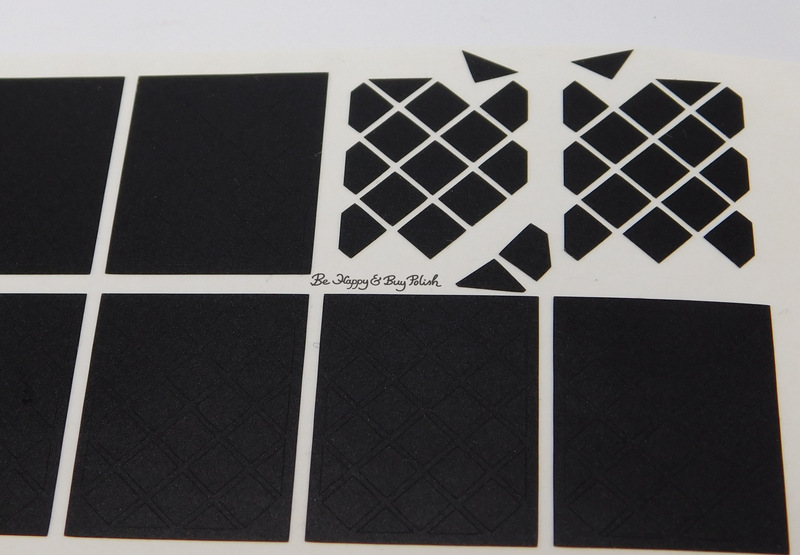 What impressed me right off the bat is that on the back of each vinyl sheet is basically a mini business card – their name, website, and what that sheet of vinyls is – as pictured above and below. Posted in Press Sample	by Jessica W.
Good almost afternoon! I’m working on this post one handed (baby in the other arm), so excuse any typos! Last night I started off with a bunch of polishes with the intent of doing a St. Patrick’s day watermarble but nothing was working. So I decided to go simple with some water decals from KBShimmer, a creme polish from Pretty & Polished, and a crelly from Girly Bits Cosmetics. 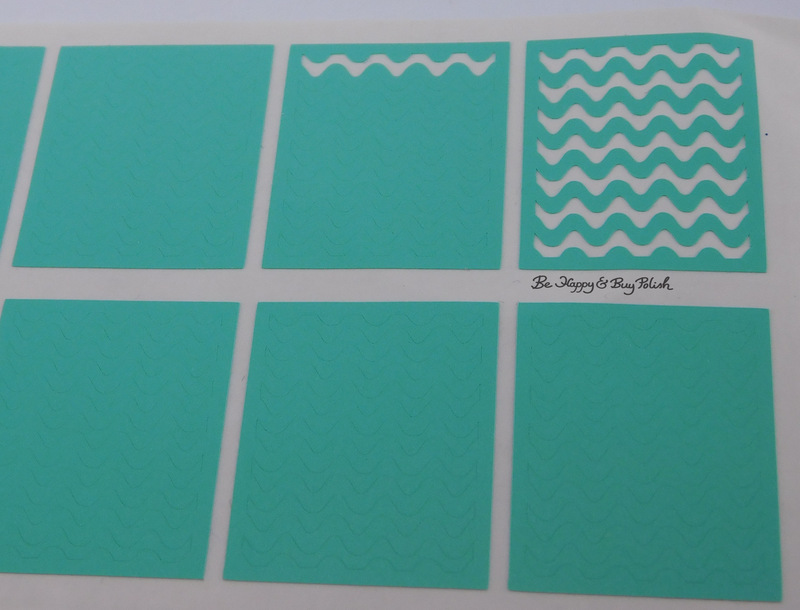 I used 2 coats of P&P Pine Over Me [press sample, previously swatched], then used these decals from KBShimmer on top. On my thumb and ring finger, I started with a coat of a white Glitter Gal (can’t remember the name! 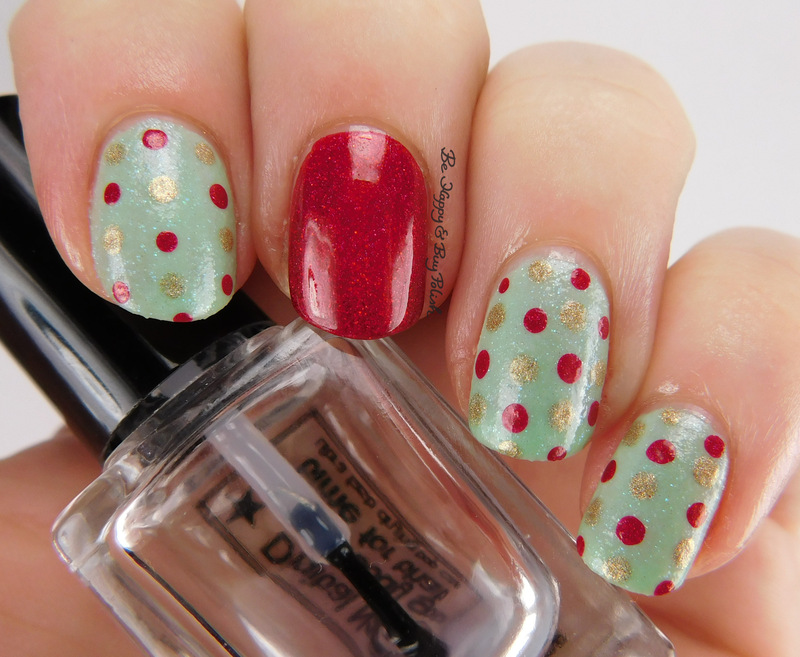 ), and used two coats of Girly Bits Cosmetics Eggnogoholic on top. Eggnogoholic is such a beautiful polish, it deserved a close up! Even though it’s a fairly simple mani, I do love how it turned out. 🙂 I hope you have a great St. Patrick’s Day – maybe you’ll see a rainbow and find a pot of gold! Hi everyone! I’m so excited to be showing you this polish today so I’m just going to jump right in. Today I get to show you Girly Bits Cosmetics Sprout And About, an exclusive polish to the March edition of A Box Indied. The March edition is called Spring Theory; it includes polishes from Girly Bits, Black Cat Lacquer, Contrary Polish, Fair Maiden, and Crowstoes. Formula on this was really beautiful – went on smoothly and had good coverage. I was pleasantly surprised that the flakes didn’t stick up off the nail. If you’d like to see photos of all five polishes, you can check out posts from the 5 permanent bloggers for A Box Indied: Cosmetic Sanctuary, Pointless Cafe, My Nail Polish Obsession, Nailed the Polish, and Ermahgerd Perlish. The pre-order is at Llarowe.com from March 1-4th; it is priced at $50 USD, free shipping with in the US. Overseas shipping will vary. There will be a giveaway the week prior to the launch, and the info for that will be posted on the ABI Facebook page and IG account. Each month there is five $25 gift cards (one from each participating maker for that month for their own stores) included and those are randomly inserted with one bottle from each maker. Phew, with all the details out of the way, let me know what you think about this beauty. It definitely has me longing for spring (though our February has been quite nice!). Posted in blog business, Indie Polish, Manicures, Nail Art, pictures, Press Sample	by Jessica W.
Morning polish peeps! 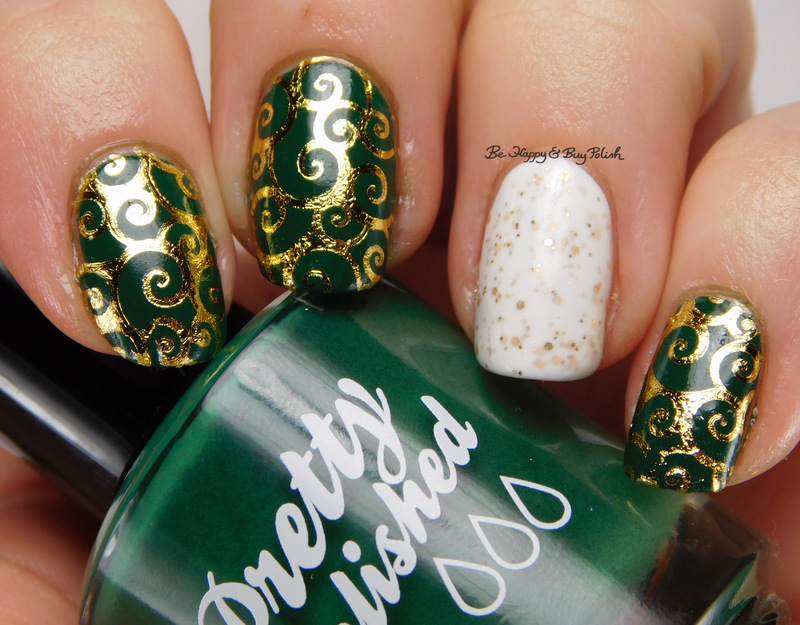 I have been aching to show this nail art to you, so I’m so excited the day is finally here. I created a blobbicure awhile back with 3 Girly Bits Cosmetics creme polishes [previously reviewed, press sample] and Girly Bits Witch, I’m Fabulous. I started off with 1 thin coat of Blue Christmas. Then nail by nail, I added a thicker second layer and blobbed on dots of Don’t Paddle Break a Nail (pink) and Dreaming Tree (which looks really blue here but it is turquoise). For accent nails (thumb and ring finger), I used 3 thin coats of Witch, I’m Fabulous! and hells yes, this is a fabulous polish! It has color-shifting flakies in there and smaller glitters of various colors. I only wish I had sun the day I took my photos to show you how awesome this is in the sun! I can’t wait to hear what you think so holler at me below in the comments! Afternoon all! Thursday afternoon…ready for the weekend? I know I am! I have a trio of polishes from Girly Bits Cosmetics to show you today: Dreaming Tree, Don’t Paddle Break a Nail, and Blue Christmas. Dreaming Tree is a bright turquoise creme polish. Formula was nice! This is 2 coats plus top coat. Don’t Paddle Break a Nail is a berry pink creme polish. Funny story, when I first received this package from Pam at Girly Bits, my bottle of this was so sad – sticky and stringy. I told Pam and after talking, we figured out my bottle had frozen between Canada & Montana (go figure). Pam sent me out a new bottle and the formula was just perfect. This is 3 thin coats plus top coat. Blue Christmas is a perfectly amazing navy blue creme polish. Formula was good – thin, but the good kind of thin. This is 2 coats plus top coat. If my nails were a bit shorter, I could have gotten away with one. Plus, NO STAINING! Woot! All three are still available at Girly Bits Cosmetics as of this writing. You’ll get to see all three together in a manicure next week! 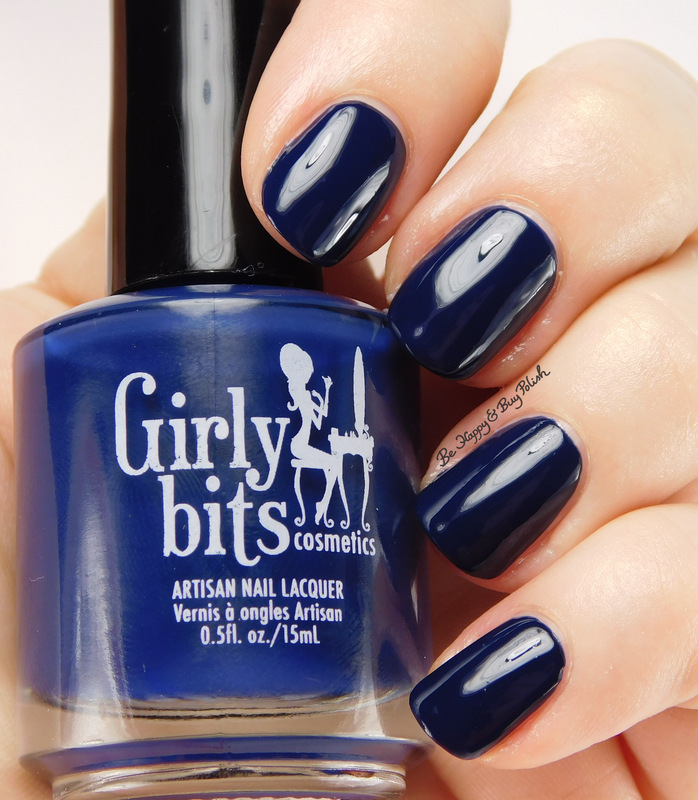 Have you tried any creme polishes from Girly Bits? Any favorites to recommend to me? Posted in 12 Days of Christmas Nail Art '15, challenge, Indie Polish, Manicures, Nail Art, pictures, reviews	by Jessica W.
Good morning! For today’s prompt of ‘wrapping paper’ for the 12 Days of Christmas Nail Art Challenge, I took some inspiration from a photo I saw on lipglossandcrayon’s instagram page. I started with 3 coats of Cult Nails Thrive on all the nails except the ring finger. I was kind of disappointed in the formula of Thrive, it was lumpy and hard to control. It is gorgeous though! On my middle finger, I used 2 coats of Darling Diva Polish The Alchemist, aka the most perfect red holo polish I’ve ever tried. For the dots, I used The Alchemist and Girly Bits Walk Like An Egyptian. I can’t wait to see what everyone else did for the wrapping paper prompt! Did anyone else’s parents recycle wrapping paper every year? I swear some years I received presents wrapped in last year’s paper!